With aging, stress, lack of exercise and a poor diet, the cartilage covering the bones begins to wear off, exposing the bone. The bones begin to rub against one another causing pain and discomfort. Arthritis and osteoarthritis affects millions of people all over the world. The onset of arthritis is very insidious and gradual. It is irreversible; however, it can be managed with home remedies and natural cures. Obesity is one of the leading causes of arthritis. Coupled with a sedentary lifestyle, it causes excessive stress on the bones and joints, paving the way for arthritis. This happens because the weight of your upper body begins to put too much of strain on the knees. Weight loss does not come easy especially if you are more than a few pounds heavy. With diligence and discipline, however, you can lose the excess pounds. Every pound lost takes the pressure off your joints and you will automatically begin to feel lighter and better. Stay fit and active for an arthritis free life. Just losing weight with diet control is not enough. The body also needs moderate exercise on a daily basis. This keeps the joints supple and reduces cartilage deterioration. Aim for moderate cardio-vascular exercise along with strength training. Weight training is no longer the forte of the young only. In fact, many elderly people are turning to strength training. Weight training enhances bone density and prevents the early onset of osteoarthritis. Strength training done 3-4 times a week is very beneficial. It has been said that daily consumption of apple cider vinegar is an effective natural cure in the treatment of arthritis. Inflammatory kinds of arthritis like gout are particularly receptive to treatment with apple cider vinegar. Take 1-2 tablespoons of apple cider vinegar dissolved in water everyday. Follow this treatment for at least two weeks to see a noticeable difference. Massage therapy is often used to manage pain caused by arthritis. In this, a trained masseur massages the affected joints of the patient. These days medicinal spas have mushroomed which provide specific massage therapies for arthritis patients. The massage should however be done with the utmost caution under the guidance of a trained masseur. Consult your doctor before going in for massage therapy. Physical therapy is very effective for people suffering from arthritis. The therapy however should be very gentle without putting too much stress on the joints. This therapy works well on people who have trouble walking and difficulties in getting out of their chairs. Certain supporting devices like splints, walking sticks, and shoe inserts etc can give support to the arthritis affected joint. They work by redistributing the weight and taking the load off your arthritic joint. People who are bow legged or knock kneed are benefited with these supporting devices. Many patients restrict their mobility once the pain strikes. This only compounds the problem and makes matters worse. It is important to keep moving so that the joints and bones remain exercised. Do things that you love, as this will keep you happily distracted. Take up a good hobby like gardening, walking or housecleaning. Swimming is one of the best exercises for people suffering from arthritis. Swimming enhances buoyancy, which means that you will be exercising your body to its maximum potential without putting additional stress on it. Swimming is also a calorie burning exercise. A fine balance has to be maintained between rest and activity. If you exercise too much, there are chances that your pain may further aggravate. Know when to stop and give your body rest if you feel too much pain. Wrap a compression bandage around your wrist as it instantly provides warmth to the area and reduces pain. You can sleep with a hot water bottle underneath the affected joint especially when the pain is severe. You can do this at night. 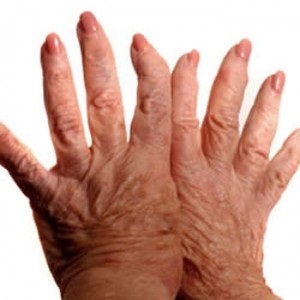 If arthritis has affected your fingers, it makes a lot of sense to redistribute the workload on all fingers equally. This takes the pressure off the affected fingers. The same principle applies to all affected joints. Perform the complete range of motion with all joints and supporting joints. Be careful while training with weights. Try not to use very heavy weights as these can lead to joint pain and bone breakage. Always consult a fitness trainer and take your doctor’s ok before starting on a weight-training schedule. While lifting heavy weights, make sure you lift from the knees. This takes the pressure away from your back especially if your arthritis is limited to the spine. If the pain is too severe, ask someone else to help you. Adequate intake of calcium especially in the early years can help to prevent arthritis. Take a calcium rich diet and calcium supplements if necessary. This is particularly true for pregnant and lactating women. Women suffer from acute calcium deficiencies especially after the birth of their children. This can be minimized with a healthy intake of calcium rich foods. Take help from family members whenever possible. Many hands together can lighten the burden and work load. By sharing the workload, you will feel a lot more energetic and will also have a lot of spare time to do activities that you enjoy. These work well especially if you suffer from joint inflammation. Cold compresses work by minimizing the pain and swelling from the joints. You can use an ice pack or a cold sponge to reduce the pain. This done for several days will minimize joint pain and inflammation. With the help of these remedies and home cures, arthritis can be effectively minimized and managed to lead a quality life. Take regular advise from your doctor to help you deal with it better.